“The Mother of Us All,” is composer Virgil Thomson’s second operatic collaboration with the avant-garde writer Gertrude Stein. It bowed at Columbia University in 1947, close after Stein’s death, and has often been performed in many smaller venues worldwide. Now it is gracing the newly renovated Hudson Opera House built in 1855, renamed Hudson Hall in upstate New York. The simple, often melodic piece, embodying folk music and Protestant hymns as paeans to composer Thomson’s rural Missouri childhood, is a tribute to Susan B. Anthony who pioneered the American suffrage movement along with Elizabeth Cady Stanton. Susan B. Anthony lectured at the Hudson Opera House in 1860 and 1898 as she stomped her way across America. Although she was a staunch abolitionist, she still eschewed tying the vote to full manumission for African Americans. Anthony believed in freedom from slavery, but not the right to vote. This is referenced in the opera in a rather oblique Steinesque approach, but still the point comes across. 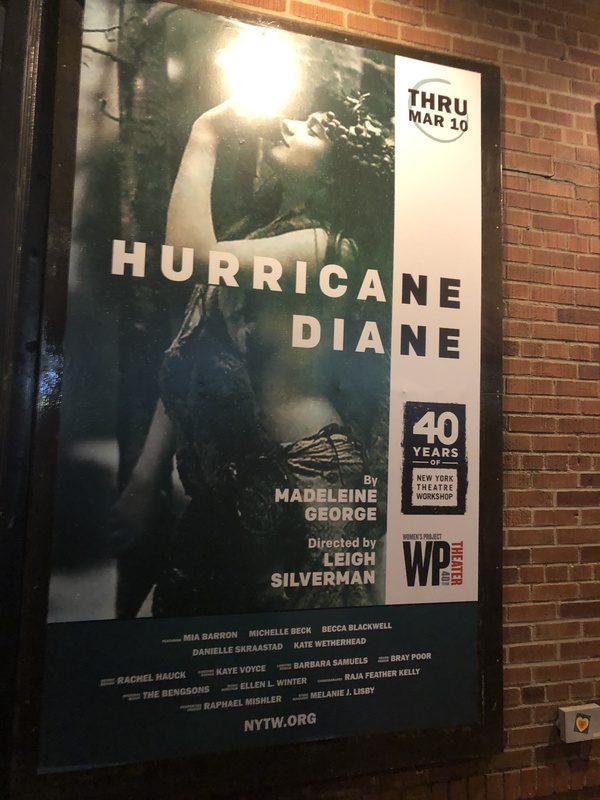 New York State celebrates the 100th anniversary of women getting the vote, and it is a tribute to mount this ambitious production. The entirety of Hudson Hall is given over to the work. Campaign signs abound, the downstairs gallery space honors the work and the times, and there are many conversations and lectures scheduled to enhance eager audiences. This is a very exciting addition to the ever more artsy town of Hudson. The production is directed and conceived by the young, much lauded and obviously not reticent to praise himself, director R. B. Schlather. Schlather is a Hudson resident, and he has culled and unearthed a trove of talent along the shores of the Hudson. The cast, crew, and musicianship in this work are top notch, which for this viewer made the over-active, nearly frantic direction and costuming seem like a distraction rather than an adornment for this jewel-like work. Schlather utilizes the entire second floor including the half floor galleries and the proscenium stage, as well as, platforms within the thrust set up. The cast parades, wanders, marches forward and backward, as they sing the glorious music. Often the overly active motion obscures the melody and certainly the words. True, it is not a linear work, but words and music are meant to be heard and savored. In an unusual turn, the program generously credits everyone including the carpet layer and the pop-up canteen, however, it leaves the Composer and Librettist off the list. Listed is the director, who credits himself as “brunch chef” and many great collaborators, from video to wardrobe, hair, and make-up. Also in the program, Schlather admonishes the audience to experience theater where “There are no borders. We are free. Get up, move around, slow down, go get a snack, come back, create your own experience.” This was one of the busiest audiences I have ever seen. They took the exaltation to heart and marched freely in and out, between performers and back to their seats, stood up in the aisles or sat on the floor. I am not uninitiated to immersive theater, environmental productions, or major international works where the audience is folded fully into the evening. I have been a longtime producer and audience member for this beloved genre. However, “The Mother Of Us All” I believe, is not one of those works. This production has a vast and diverse cast of nearly 40, all of whom live or are associated with the Hudson Valley. This is remarkable and marvelous. Many must be singled out, including the extraordinary Michaela Martens, recently in the Metropolitan Opera’s production of “The Death of Klinghoffer,” who sings a full-throated Susan B. Anthony, Nancy Allen Lundy as Gertrude Stein, Teresa Buchholz as Anne (a constant companion and supporter of Susan B.) Dominic Armstrong, as Jo the Loiterer, whose diction and clarity were a gift, and the ever-alluring Robert Osborne as Daniel Webster. These all dazzle and fill the hall with glory.